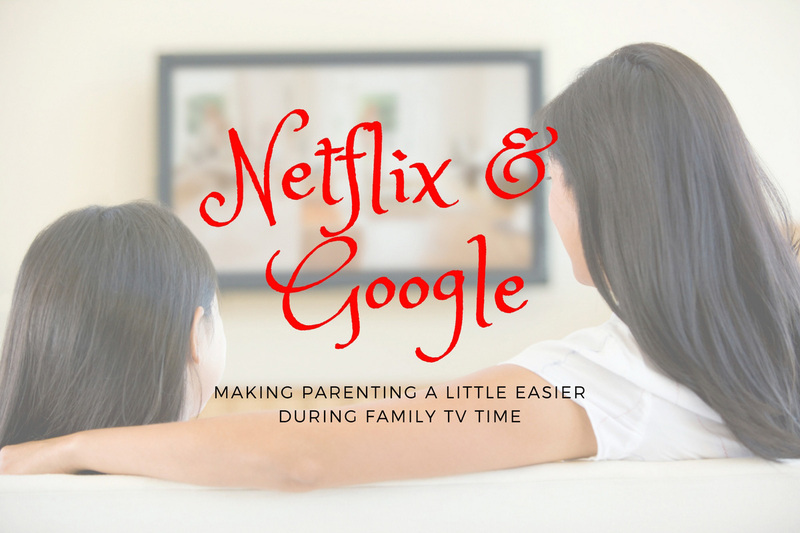 For some, sitting down as a family to stream their favorite movies and tv shows is a relaxing and bonding experience. Not for our family. Well, at least not when our daughter was younger. Whenever we watched something, she couldn’t help but talk through the whole thing. We would do our best to quiet her down but, when the show ended, the rapid fire of inquisitive questions began. “Why did they go there?” “Why did they do that?” “Do those really exist?” “What happened to the other characters after?” “Can that really happen?” “Who gave them that?” It got so bad at one point that we had to ban her from watching certain series or movies. The ongoing conversations about mermaids or why one parent often died sucked all the fun out of seeing films together. How I which had Netflix and Google back then. Sure, sometimes we could briefly explain that there was no deep meaning and that it was just part of the story. There were other times, though, when she asked deeper questions on subjects such as history, science, relationships, and pop culture. Those educational shows really made it tough on parents who didn’t have instant access to the answers. It was the early 2000s after all. These days, most families have broadband internet with Wi-Fi at home or unlimited 4G LTE while out and about. If the kids ever ask a question you don’t know the answer to, you can “google” it. Ah, the wonderful invention of online search engines. Now, every parent can become an expert in all things thanks to that little text field and magnifying glass icon. In only seconds, you can whip out answers to questions such as these. Finding Dory — What kind of animal is Bailey and what is an easy way to explain echolocation? Meet the Robinsons — What really happened to the dinosaurs? Chicken Run — Can chickens fly? Queen of Katwe — What is Phiona Mutesi doing now? Is chess still popular in Uganda? Moana — Is Motunui a real place? Kids aren’t the only ones who have questions. 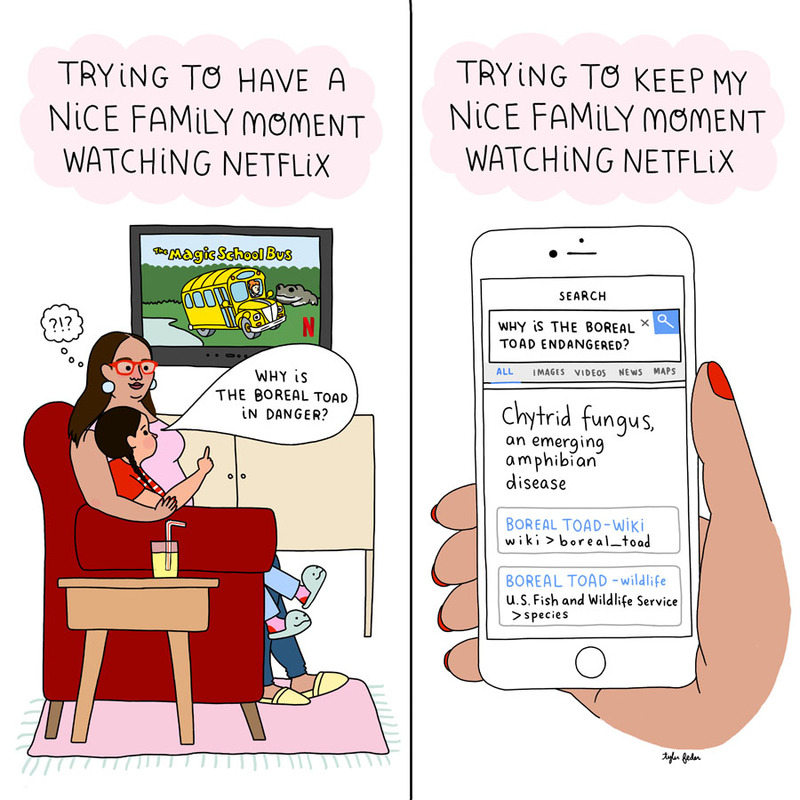 While watching shows with the family, parents might also wonder a few things. Maybe a voice sounds familiar but you can’t remember where you heard it before. Perhaps you recognize characters, themes, or stories from series you watched as a child and feel like strolling down memory lane. (So you can say, “Wow, I can’t believe it was that long ago!” then wallow in sorrow about how much older you are now…) You may want to search these topics. Trolls — When did those super ugly dolls first come out? Beauty and the Beast — Who sang the ending theme song of the original movie with Celine Dion? Puss in Boots: Trapped in an Epic Tale — Didn’t Puss have a different love interest in the movies? Sing — When did singing competitions get so popular? The Little Prince — Who plays the Aviator? No matter what questions might come up, at least parents have to tools to quickly look them up. This streamlines the answering process, allowing you to go back to watching the show and actually try to enjoy it. It also helps that you can pause while streaming Netflix, so you don’t miss anything while you finish talking. Even now, Munchkin has a tendency to add her personal commentary to flicks we’re streaming. But, instead of getting irritated, I kind of like it. I often find her input funny and/or interesting. In fact, shows are more fun when she watches with me and she’s my go-to tv buddy for many series (except when I’m watching rom-com because she thinks they’re slimy). It also gives us common subjects to talk about and geek over. What shows do you enjoy watching with your kids?